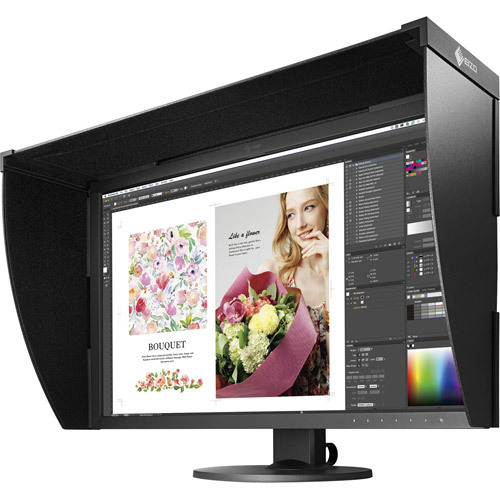 The ColorEdge CG2730 supports ColorNavigator NX quality control (QC) software. It offers asset management of client ColorEdge monitors and covers calibration, built-in sensor correlation, and color mode settings. With ColorNavigator NX, calibration information is saved to the monitor instead of the PC's operating system so you do not have to recalibrate if connecting to more than one PC. 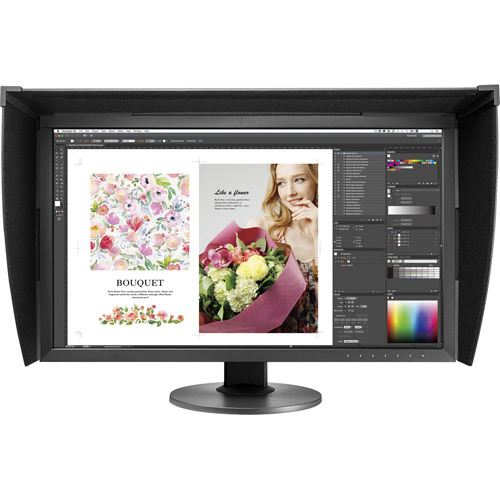 The software is most effectively used with EIZO's ColorNavigator Network solution. ColorNavigator Network provides centralized quality control of ColorEdge monitors that have ColorNavigator NX installed. Administrators can set color modes, schedule self-calibration, register or adjust asset management settings, and other tasks whether the monitors are local or remote. 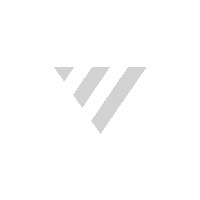 ColorNavigator Network is hosted on a secure cloud server to free you from the initial investment and running costs of providing your own server. color gumatthe ColorEdge CG2730 reproduces almost the entire Adobe® RGB color space so images shot in Adobe® RGB will be displayed correctly. Photos of vibrant blue skies and lush green forests are reproduced faithfully in a way that monitors limited to an sRGB color space cannot display. The wide color gamut also ensures reproduction of almost the entire ISO-coated and US web-coated CMYK color spaces used in printing. The ColorEdge CG2730 also reproduces 98% of the DCI-P3 color space used in post production. Fluctuations in brightness and chromaticity on different parts of the screen are a common trait of LCD monitors. To counteract this, the ColorEdge CG2730 is equipped with EIZO's patented digital uniformity equalizer (DUE) technology to ensure a Delta-E difference of 3 or less across the screen. DUE also counterbalances the influences that a fluctuating temperature may have on color temperature and brightness for stable image display. The ColorEdge CG2730 has obtained TUV Rheinland’s Color Accuracy (Quick Stability grade) certification. Color Accuracy is the first quality and performance criterion to measure the color accuracy of display devices for multiple graphics fields such as photography, post production, design, and printing.